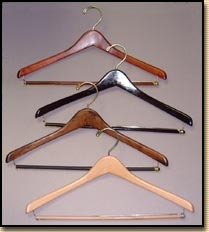 Continuing the tradition of fine quality wooden hangers begun in 1903. Robert Carlton Hangers was formerly the wooden hanger division of Batts, Inc.  a company well known for its quality and service. In 1999, the wooden hanger division of Batts was purchased by Bennett Wood Specialties, Inc. and renamed Robert Carlton Hangers. The name has changed, but the quality and service remain the same. 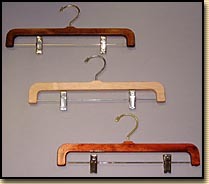 We are still manufacturing in the same factory in Zeeland, Michigan, and continue to offer a complete line of high quality wooden hangers. Bennett Wood Specialties, Inc., also located in Zeeland, Michigan, has manufactured custom wood products since 1906 and is now in its 4th generation of family ownership.